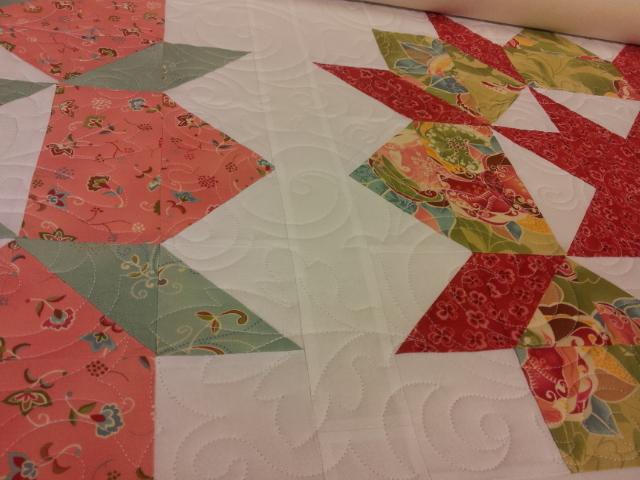 Longarm Chris: I'm sooooo late to the party! 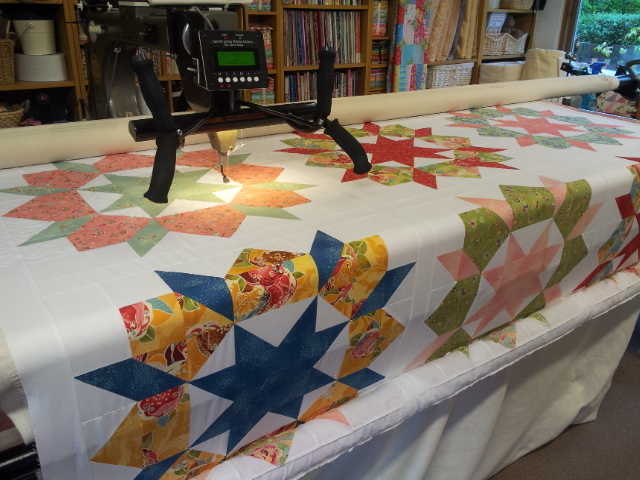 I know that you have all finished your 'swoon' quilts, quilted them and got them bound and I bet you have even got them on the bed!! Me, well I'm rather late with mine. 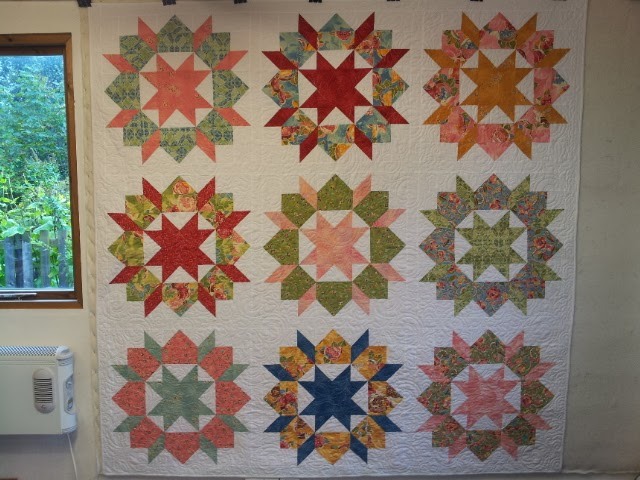 I have had the pattern sitting on my desk for months waiting to be made. In desperation I finally challenged my friend Janie to get hers made (she has been procrastinating as well - sorry Janie!!) and I would do mine and we set a deadline for end Sept. Within 2 weeks she had hers finished!!!! A beautiful red and white one. 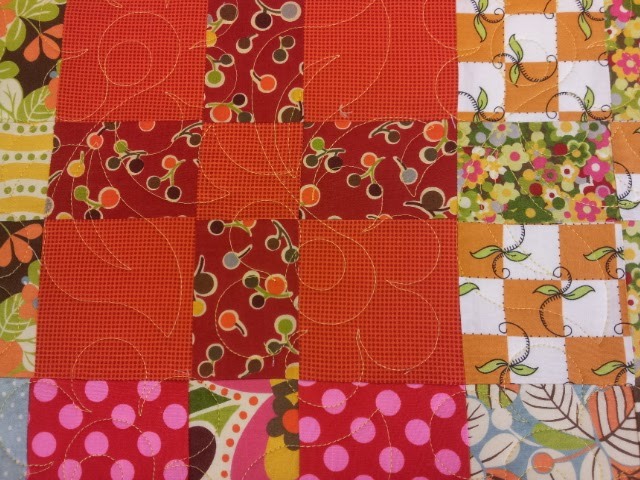 I made 3 blocks with my fabric choice and hated it! 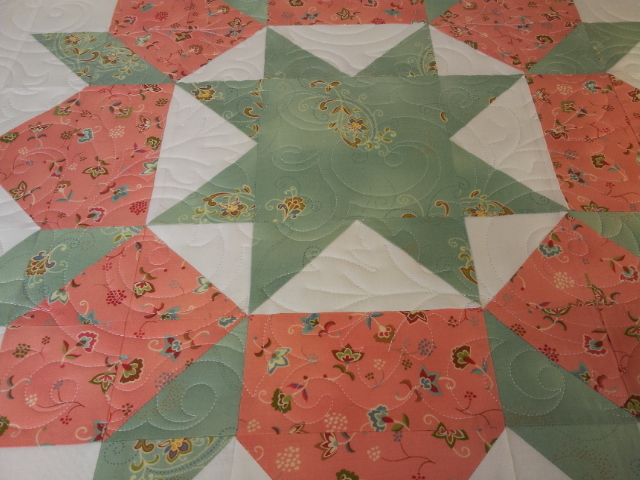 I chose a plain green as the background and it just killed the patterned fabric (Boutique by Chez Moi) so started again using white as a background and preferred it, although I can't say I really love this quilt. 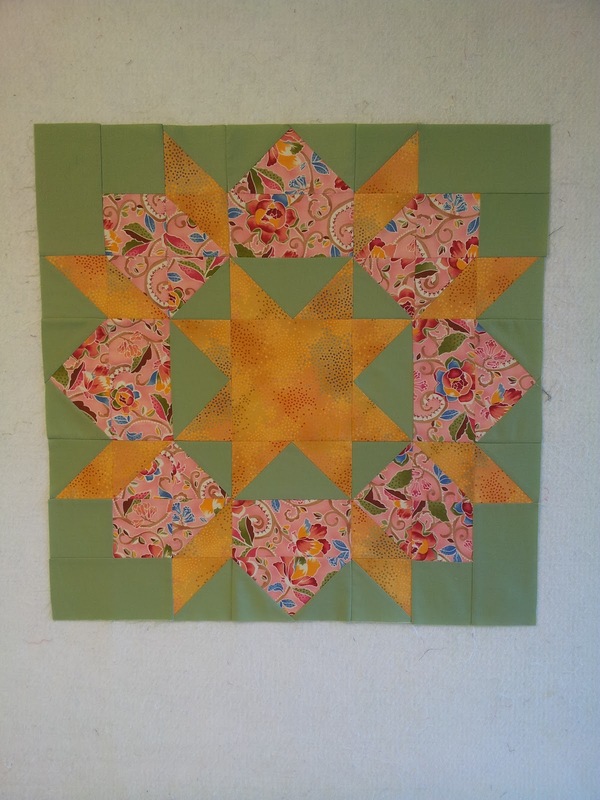 I love the blocks, just not keen on my fabric choices but decided to persevere and finish it then I could move on. 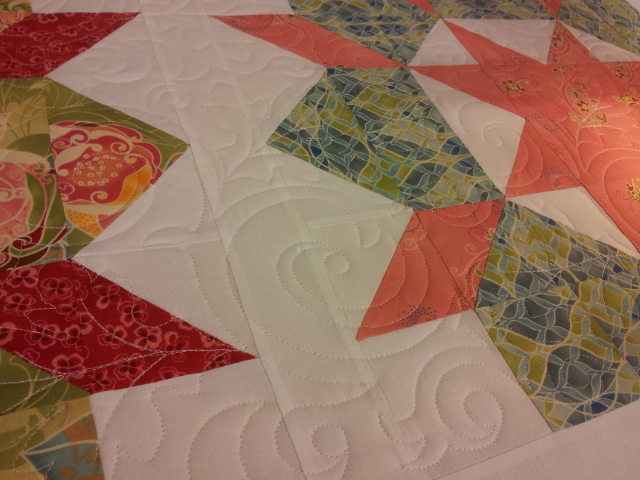 Here it is, quilted and bound. 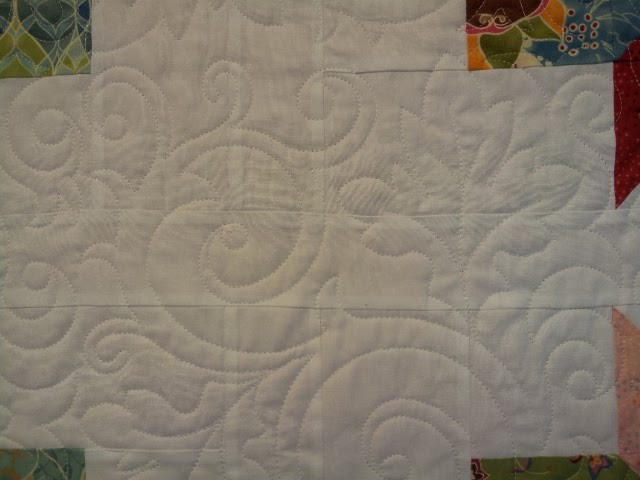 I quilted it using a pattern called 'ornamental maples' by Tammy Finkler. Lovely Chris. 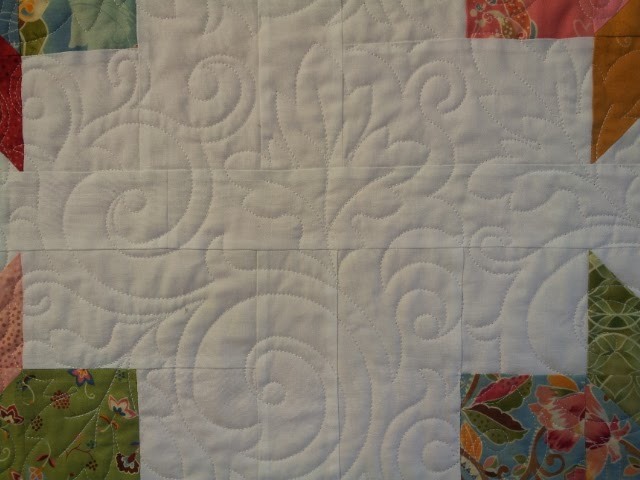 I do like that quilting pattern, it really shows against the white. I think I will revisit this pattern in the future too. What will be our next challenge then?